Providing Wedding Dresses That Colorado Springs Brides Can Be Proud Of! When you enter Bridal Elegance you are greeted with respect from one of the top rated bridal stores in Colorado Springs. We strive to make every detail of your special day perfect and uniquely yours. Bridal Elegance offers friendly staff, on-site alterations, and reasonable prices that simply can not be beat. We buy directly from the designer, and love to showcase local dressmakers as well as brand names. At Bridal Elegance you can be sure to find your dream wedding dress. We are more than just a Bridal Shop. A full service Wedding Boutique, offering Wedding Gowns, Bridesmaids, Prom, Pageant, as well as Alterations, bridal accessories, flower girls Dresses, linens, & event planning! YAY FOR ASPEN! This beautiful bride found her perfect wedding dress! We are looking for someone who is enthusiastic and passionate about weddings and connecting soon-to-be brides with their perfect gown! 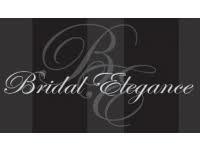 Bridal Elegance of Colorado updated their cover photo.